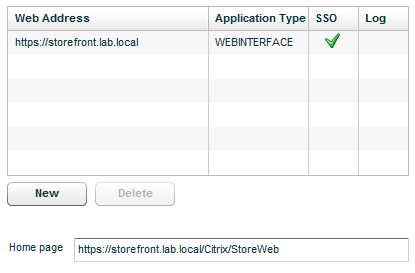 Welcome back, in the previous post, we have configured the CAG and the StoreFront server to enable access to the internal XenApp/XenDesktop environment with a web browser. Now we are going to enable the environment to support internal and external access with the Self Service Plugin (Dazzle). First upgrade all receivers to the latest versions. 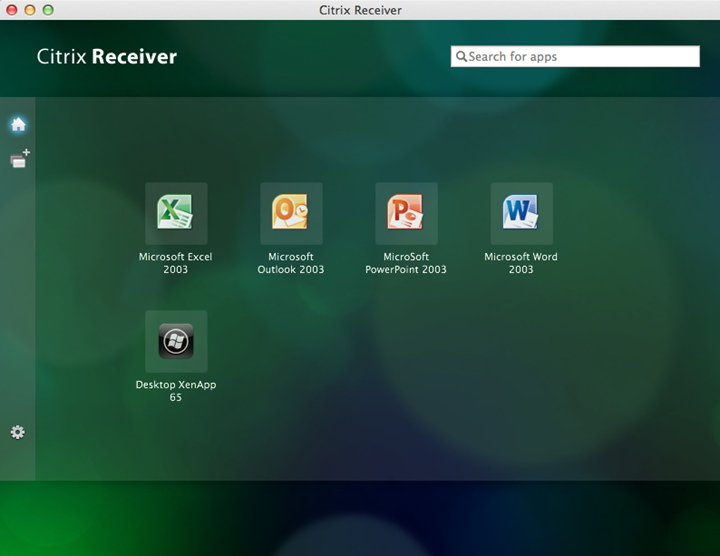 Citrix Receiver 3.2 is necessary to get this working. 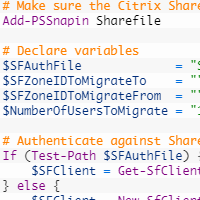 Don’t forget to thick the checkmark: Authenticate with Web Interface. This logonpoint is used for iOS/Android devices. 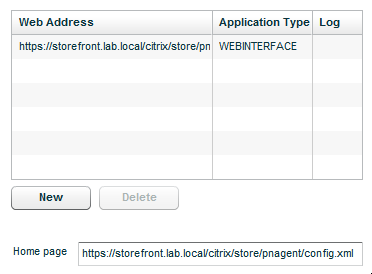 Open the Citrix Receiver StoreFront Management Console. Navigate to the authentication section. Enable: User name and password. This is because internal access and legacy access (iOS/Android) is going to be used. 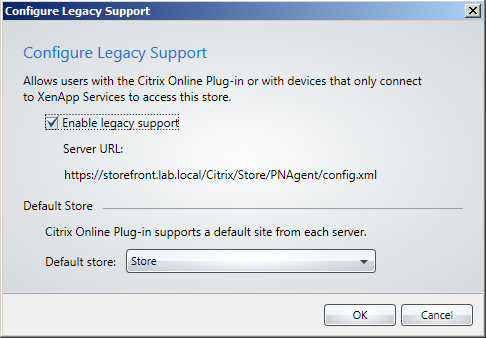 In the Store section we enable Legacy Support. 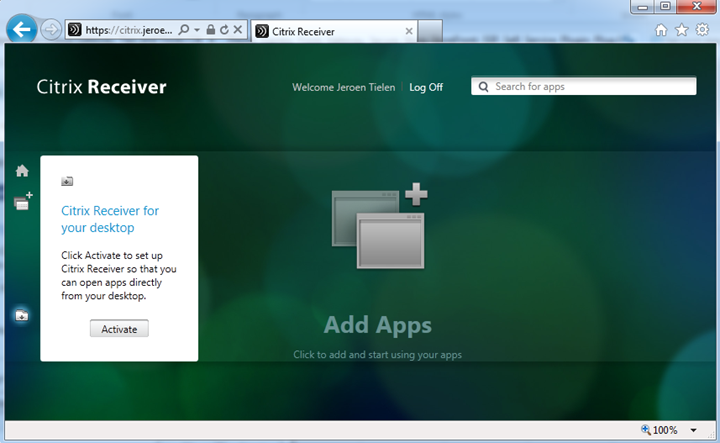 And now the environment is ready to use the nice Self Service Plugin within the Citrix Receiver. On the clients workstations open a web browser and login into the Receiver for Web website. On the left bottom corner click on the activate button (if you didn’t disabled it ) and let the magic begin. 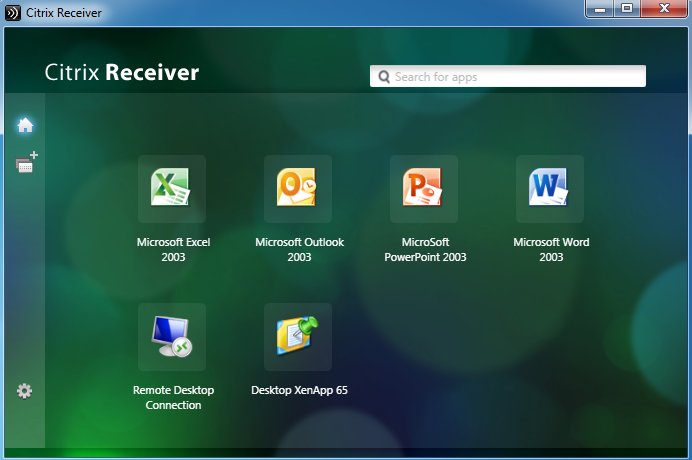 Now the Citrix Receiver is configured to use the StoreFront server through the CAG. You can close the web browser and use the receiver instead. The activate button downloads a receiverconfig.cr file. This file can be distributed to other users to configure their receiver. To configure the receiver on the iPhone/iPad. Open the receiver and add an account with the following url: https://fqdn/lp/mobile and let the receiver automatically do his thing. Did you manage to install SF 1.2 yet? I just upgraded without any worries. Works fine. I did upgrade. But my dutch language isn’t working. An updated version will be there soon. There are no Apps available at this time. 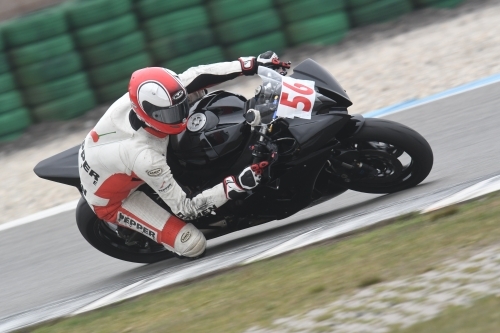 We’re using CAG504 (vpx) and StoreFront 1.2. My problem is fixed. Thanks anyway. The interface of our CAG are in lan and dmz. Not both in dmz. I have been trying to do exactly what your article describes for some time now and have used your guide as a comparison benchmark to my own setup. Firstly its great to see such a well documented example in an area where Citrix fail to deliver themselves. I am left with the same problem that Stephan describes (“No apps are available at this time” error on iPad receiver). I have tried disabling the session reliablity feature on Storefront as he suggested but with no success. Actually I believe this problem was fixed in an recent CAG update. My scenerio is slightly different in that I am using an Access Gateway Controller to configure the login points on a V5.04 CAG VPX appliance and to authenticate users rather than using the CAG to authenticate directly. My web browser clients are working perfectly, as are my Windows Receiver V3.3 clients, but the iPad receiver is proving more than troublesome. The iPad receiver works perfectly on the internal network so I know the connection to storefront server is good, just not through the CAG. The iPad receiver can also successfully talk externaly to the PNAgent legacy resource in Storefront. I am working on a proof of concept which involves using the Citrix Sharefile plugin in the latest iOS Citrix Receiver which needs to talk to Storefront through the CAG rather than the PNAgent resource. Sorry for the late, verrrrrrry late reaction. Is the problem still there? My write-up about combining these product is currently out of date. When the time is tere. I will and wand to write a new one with all the new products/versions.